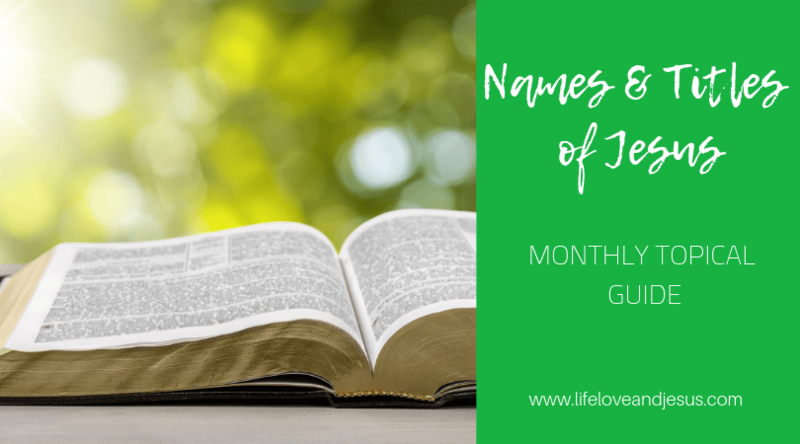 This month’s topical study guide is on the names and titles of Jesus. There are so many! And it is such a treasure trove of goodness. While I was working on that, I started thinking that this study could help me prepare my heart for Christmas by focusing on Jesus. In just going through the gospel of John (which is the source of our study this month), I find such richness of names as these. The Word. The Light. The Lamb of God. The Messiah. The Bridegroom. The Living Water. The Savior of the World. The True Vine. The Son of God. That’s just for starters! And just one gospel. What I find in this trip through John focusing on Jesus’ names, is that He is not the babe in the manger. At this time of year, it is so easy to think of Jesus as ‘Baby Jesus.’ But He isn’t. Yes, He came as a baby. That was a historical event that occurred once. But, like all babies, Jesus grew. He became a toddler, a child, a youth, and a young man. He did not stay a baby, and to remember Him as only ‘Baby Jesus’ during the season we celebrate His coming is to do both Him and us a disservice. As you study through the names and titles of Jesus found in the Gospel of John, think about Him as the conquering and coming King, not the babe in the manger. Think of Him as the Son of God and Son of Man – not the helpless child. Think of Him as the Shepherd, the Vine, the Light, and the Lamb. But don’t focus on that one historical night long ago. Focus instead on the historical morning 33 years later when death was vanquished and sin forgiven. He is not a baby – He is our Lord, our Savior, our King. May your Christmas worship not stop in the stable but be transformed by the tomb.